The Yamaha YST-SW216 is a great combination of modern technologies and Yamaha reliability. This is an amazing subwoofer that has everything you need. The venting ports help to avoid any resonance and vibrations to assure the perfect quality output sound. The construction is very durable as well. 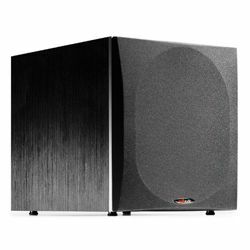 This model also uses various sound enhancement technologies which help to assure It is a great solution that has enough power to fill a small or a medium size room with deep and natural bass sound. 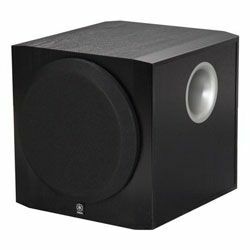 This Yamaha YST-SW216 review should be helpful for people who look for a good subwoofer. The YST-SW216 looks like a modern solution with the front-firing design. It also has a liner port for minimizing additional noise. The port is located on the right panel. It has a 10 in long-stroke cone driver with magnetic shielding, which makes it completely safe for other devices located nearby. The cabinet is made of the high-density MDF material with an amazing wood-style finish. 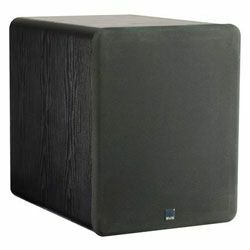 The cabinet is super durable and the whole subwoofer is built well – you will not hear any rattling or shaking when you move this subwoofer. The dimensions are 13.3x13.3x15.1 in while the weight is 24.7 pounds. This model is not very heavy, so you can easily place it wherever you need. The YST-SW216 specs are amazing and they prove it to be a high-class unit. 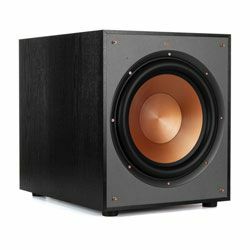 It is an active front-firing active subwoofer. The nominal output power is 50 W RMS, while the maximal output power is 100 W RMS. The audio amplifier output power is 50 W. the sensitivity is 100 dB, while the frequency response ranges from 25 Hz to 180 Hz. The crossover frequency covers the range from 40 Hz to 140 Hz. It Has RCA LFE inputs with 2 speaker outputs and inputs. The Advanced Yamaha Active Stereo Technology (YST) is a unique system helps to make an amplifier and a speaker work together to cancel out impedance and the speaker will have perfectly linear motion. YST technology ensures the highest level of sound pressure. This technology also assures a low level of noise. This model also has a selectable high-cut filter. 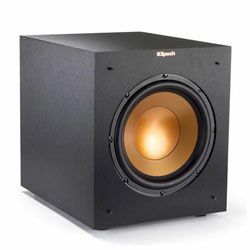 Customers are satisfied with the output sound of this model, it generates enough power to fill a small or a medium-sized room. It is a great option for movies. It would be great even if the room is carpeted. However, some customers state this model is not an option if you have several rooms share the same space. 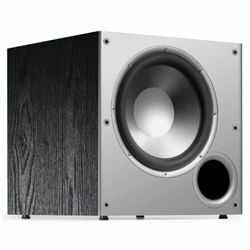 Some customers also claim that this model is quite accurate and this subwoofer is great not only for movies, but also for music, but some customers claim that it still distorts the output sound. This model works amazing with a Yamaha receiver and this subwoofer sounds even better if you run the YPAO calibration (the automatic audio calibration solution for Yamaha receivers). 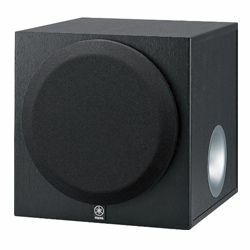 Customers also state that this subwoofer sounds less muddy and tighter, but it may not hit the lowest frequencies. The YST-SW216 setup is quite easy to perform. It is easy to hook everything up since all ports are labeled. This model is versatile in terms of the input ports. The setup process is straightforward – you connect everything up and then start tuning the dials to get the right sound – you need to adjust the crossover frequency dial and the volume dial. All the dials are located on the back panel so you can easily adjust the Yamaha YST-SW216 settings. If you need a great subwoofer that has enough power to fill a small or middle-sized room, then the Yamaha YST-SW216 is exactly what you need. This model also features various audio enhancement solutions, so the output bass sound is clear and deep. It is magnetically shielded so you will not damage any other devices located near this subwoofer. However, some customers claim that this is not a perfect option for music, but it still will impress you. This model is built well and the construction is extremely durable. The input ports are reliable as well.